Roam’s coworking and meeting spaces are intentionally designed to inspire creativity, innovation and productivity for the Atlanta workforce. Renovation of a highly creative open class A office space, including collaborative work areas, garage style training rooms, cafe and several other conference and networking space. 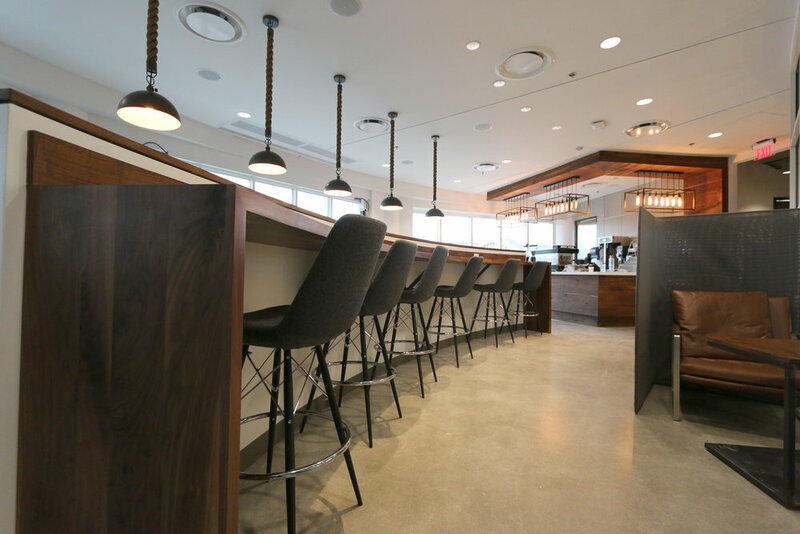 This project has high end finishes of walnut millwork, specialty light fixtures, garage doors, feature windows, bi-fold doors, large areas of write and wipe surfaces, large scale graphics, frosted windows and the latest IT project and networking systems.